William Jewell College’s literary publication, Inscape, was released to the public April 10 at 7 p.m. in the Stocksdale Gallery. The team provided cookies and punch to celebrate a successful launch of the most recent volume of Inscape, and students and professors alike turned out to support the publication. 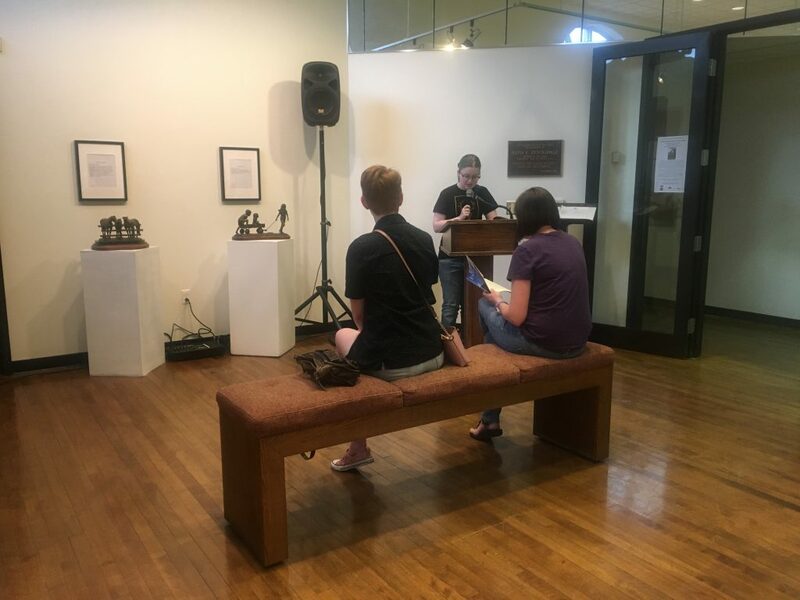 Guests were given the opportunity to read works of creative writing at the event’s open mic, where some contributors shared previews of their published pieces. Heading the event were editors Becca Saffier and Cameron White, as well as faculty advisor Dr. Ruth Williams. Having physical evidence of the work they’ve been doing all year was a moment of great accomplishment for all involved. Copies of Inscape will be available to pick up in the English department, found on the third floor of Jewell Hall.